A unisex light weight nylon lunch tote with side mesh pocket and thermal insulated liner. Hand carry with zip closure and small front open outside pocket. PVC AND phthalate free. 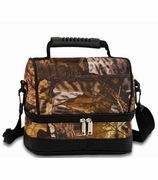 Buckle attachement allows lunch tote to be secured to another personal carrying bag. Water resistant exterior. Add name or monogram with purchase. 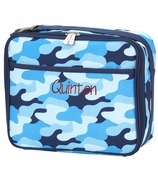 The monogrammed insulated lunch tote measures 10�W x 8�H x 3.5� across the bottom. Zipper closure. 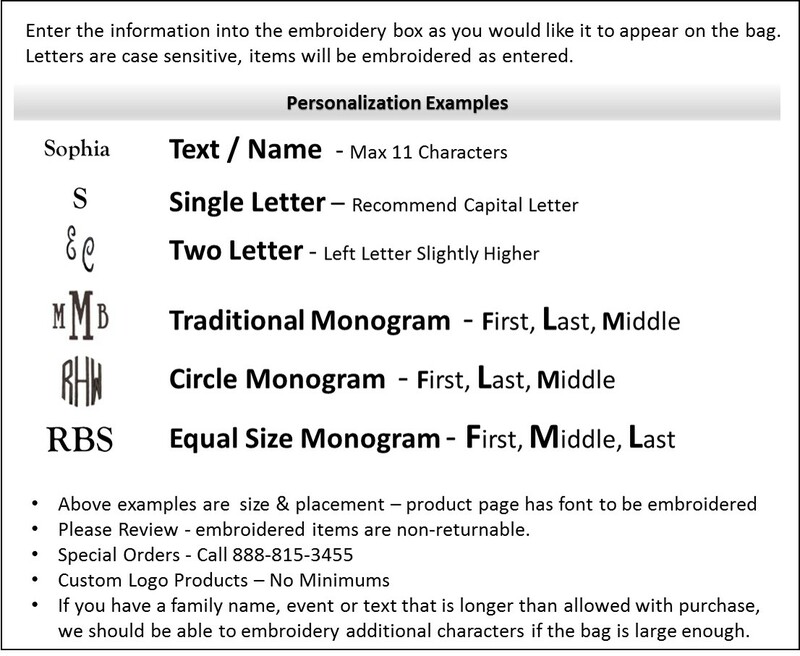 Ordered 45 of these for a company gift with individual monograms. Company was excellent to work with. Very accommodating and swift in filling the order. 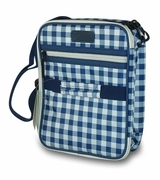 The bag itself is a little lighter than expected, but decent for a simple lunch bag. Not much for 'insulation', only the reflective liner. It would not be intended to keep an icy beverage cold. Overall, I am happy with the product and its intended purpose.